Unfortunately, my insistence upon exploring this love for notebooks (through purchasing all that take my fancy) far exceeds my ability to actually use them all properly. 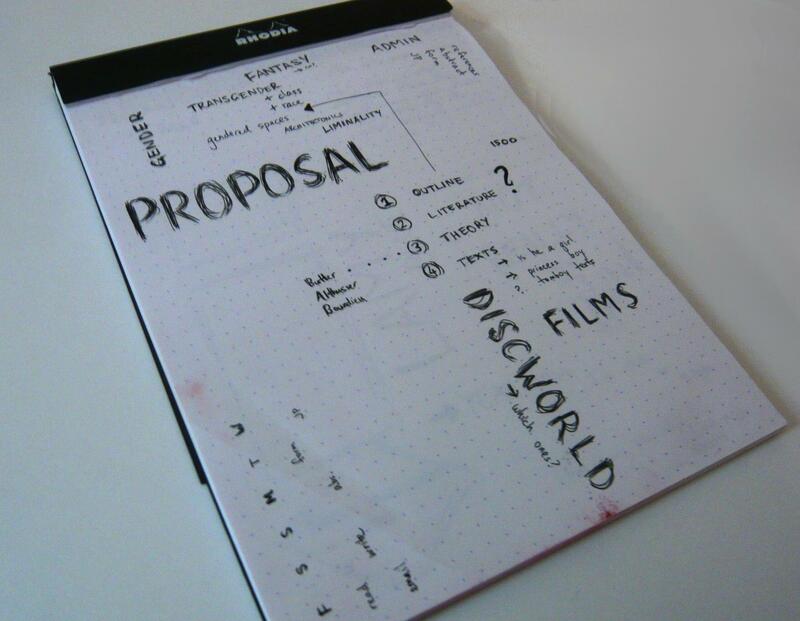 I know that most people manage to use their notebooks quite regularly. I used to, till I realised that typing let me get my thoughts out more quickly than writing. 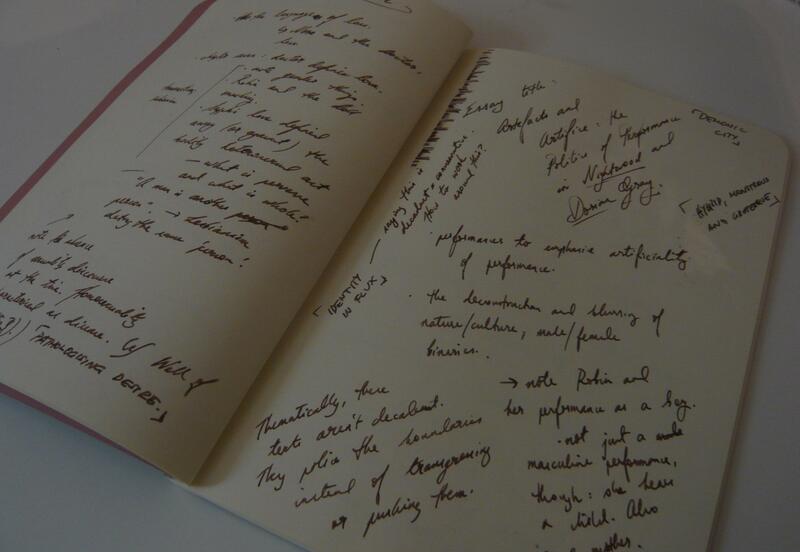 I still carry a notebook (or three) around in case I do need to scribble, so my notebooks don’t go unused per se; they’re just not as well-loved as they used to be. Which is a shame, because I’m really very fond of them. The spiral notebooks are just cheap lined notebooks I picked up at Big W and Officeworks for uni notes. I replaced the covers myself — you can see how they look in this post (warning: I was a bit sleepy and high and not very coherent when that post was written, lol!). 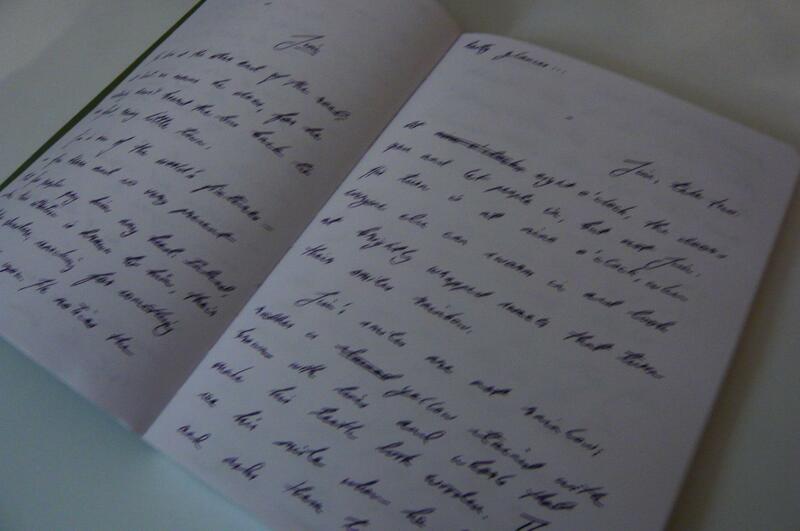 They are far from interesting in content, for they have law school scribbles and law bored me to tears. Above the spiral notebooks is an A5 jotter pad made out of junk paper, which is my general scribbly pad. It has boring things like ‘dentist appointment 2.00 Saturday’, annotated with things like ‘??? ?’ because I’ve forgotten to note precisely which Saturday it is. The tiny little notebooks stacked on top of the jotter pad are Moleskine cahiers, which come in packs of three. I don’t use them half as much as I used to because my fountain pens hate them (the ink goes everywhere) but I always found them an awesome size for general notetaking if I didn’t have my jotter pad on me. I also like the simplicity of them — they’re so terribly appealing, even though I hate their lack of paper quality control. It’s not that glaringly white, just glaring in comparison to the kikki.K and Moleskine pages. At the moment, it has very little written in it, because it’s my scribbly book for fiction pieces and my inspiration is sadly running rather low. One day, it’ll be filled. Until then, I’m trying not to buy any more Clairefontaine notebooks. HA. I find it quite useful for getting the gist of my ideas out there, since I think in keywords and generalities rather than in specifics. Every time I walk into Borders now, I’m tempted to get another Rhodia No. 16, though I haven’t quite caved yet, because this one isn’t quite done. 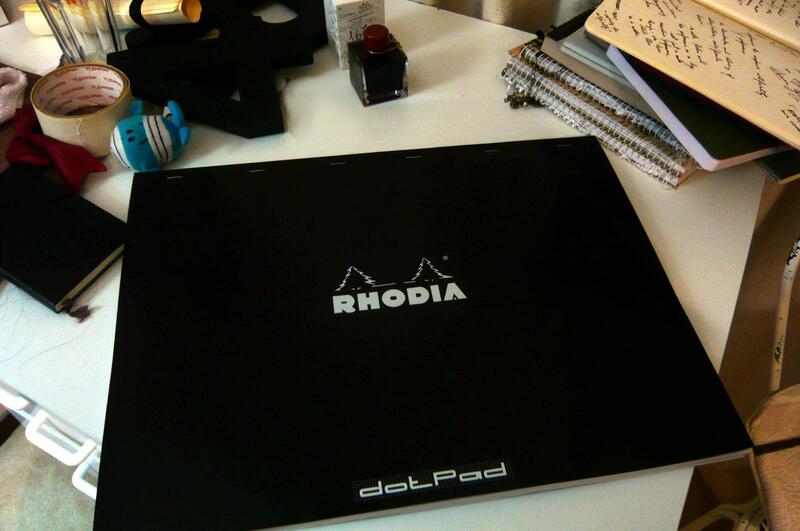 But not, as I say, another Rhodia No. 16. No, no. It’s so big. It’s Rhodia No. 38 and is an A3 pad of dot-paper. 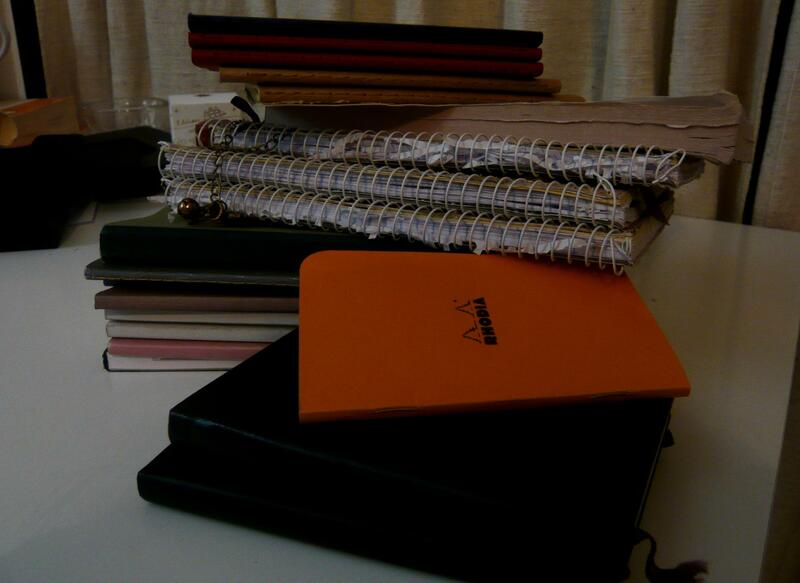 My biggest notebooks up until now were A5, so you can imagine that this is WHOA CRAZY HUGE in my head. It’s probably quite normal to students who do giant sketchy things. I don’t even think my writing will be visible on this paper. HOW FREAKING AWESOME, YOU GUYS. Never-ending paper is really rather important to me. During my Honours year, I found it really difficult to keep all my thoughts to paper, and ended up scribbling on my bedroom wall, instead. It felt better than giant butcher paper. I do think, though, that’d it be nice to be able to keep my notes without having to erase them from my wall. HENCE THE MONSTER PAD. And, by the by, has anyone seen the Mutant Dolls at Chatswood Westfield? I also love them, because they always make me stop and take a second look — a second look of the ‘what on earth is that oh it’s a mutant doll I geddit cute’ variety, which is more than most shopping centre stalls get from me, really. And I sort of want one. But not really, because they creep me out. I’ve been trying to load the website to see if they’re as creepy as I recall, but I can’t load it, so I’ve decided that yes, they’re as creepy as I recall. It’ll be this way unless someone convinces me otherwise. I’m quite new to fountain pens, although my first foray into the world of nibs and flowing ink was when I was quite young (maybe seven at the oldest), wielding my uncle’s fountain pen to draw cockroaches in brown ink. That Thing. And the most important thing about That Thing is that, with practice and a bit of patience, you can spin it off the body of your pen and make it spin around the table like a little silver top. Priceless hours of class entertainment, I assure you. Not so with the fountain pen, which is a finicky little brat. The nib has to get along with the ink which has to get along with the paper, or else all you get is this blurry mess of once-legible writing. 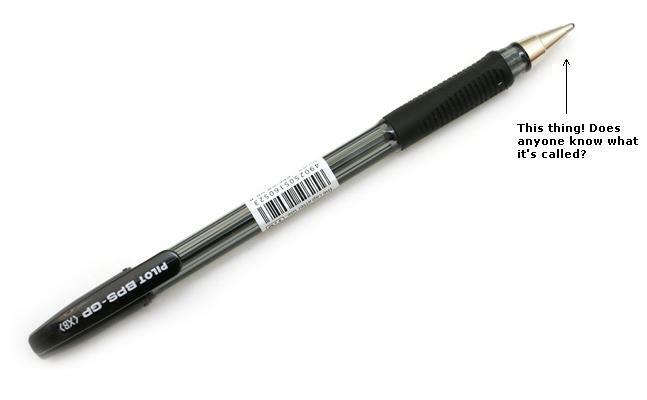 And nibs change, even in the same manufacturer (and in the same pen line), which makes every pen purchase a bit of an adventure. 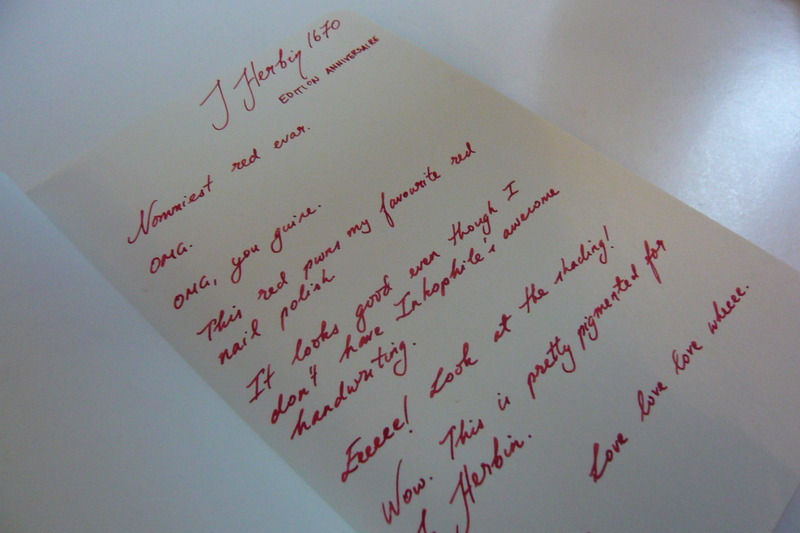 My obsession with ink started with one particular colour: J Herbin’s ‘1670 edition anniversaire’, which is a glorious blood red ink commemorating 340 years of making ink and other awesome stationery. It was, of course, limited edition and I discovered it, of course, a few months after it had been released and snapped up by ink-lovers all over the globe. And then one day, I saw it on Inscriber, which is (without a doubt) the best online stockist of awesome stationery. And it was sold out. But I asked them to notify me when the product was in stock (none too hopefully for, as I just mentioned, I was in the mood for feeling sorry for myself). A few days later, the email came. A few seconds after that, I put an order through. Isn’t it amazing? It is. 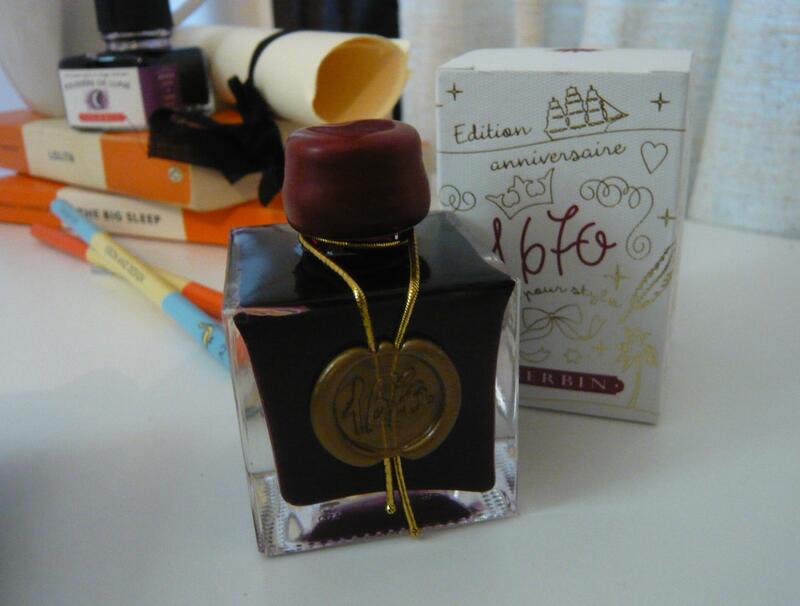 Nicest bottle of ink I’ve ever seen. J Herbin usually has shorter, squat, no-fuss (though still rather attractive) bottles, which you can sort of see on top of my Penguin books on the left. (It’s the bottle with a purple moon on it. And the ink is delectable. You can sort of see it on my About page, too.) But this bottle is so very attractive, with its wax sealed cap and little wax seal badge proclaiming its name. Each seal is hand-done, I think (I know I read that… somewhere >.>) which just adds to its awesomeness. This red pwns my favourite red nail polish. It looks good even though I don’t have Inkophile’s handwriting. Eeeee! Look at the shading! Wow. This is pretty pigmented for J. Herbin. My favourite red nail polish, for the record, is OPI’s An Affair in Red Square. OPI’s Affair in Red Square is a deeper red cousin of OPI’s famed I’m Not Really a Waitress, and J. Herbin’s 1670 is darker still, with earthy brown undertones that make it look closer to blood than to the sparkling Christmas tones of An Affair in Red Square. THIS INK IS SO AWESOME. It’s the sort of colour that makes me want to write passionate letters to my lover right before I murder them and write confessional notes in their blood. If I had that sort of tendency. Sharp knives and blood fear, remember? Maybe I’ll just write a murder mystery instead. I mentioned ‘Inkophile’ in that scrawl. 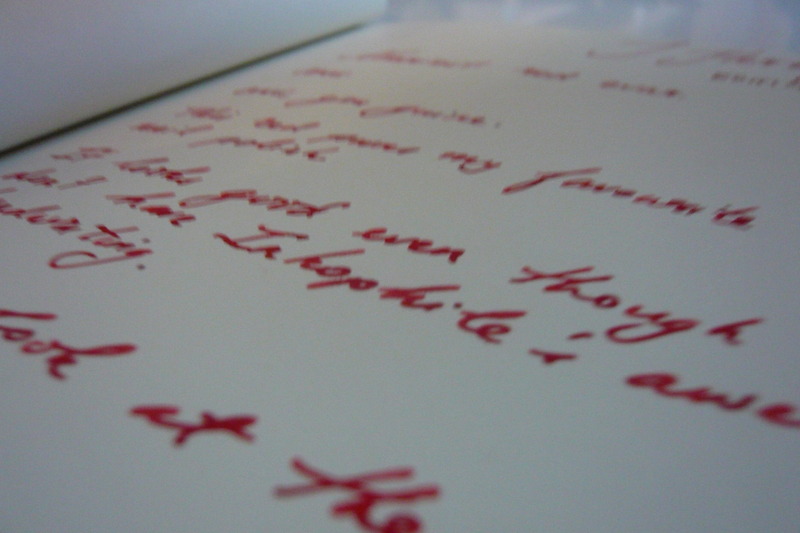 Inkophile, whose handwriting I covet terribly, has an amazing blog. The swatches of 1670 put mine to shame. Look and drool: Inkophile’s swatches of1670. This ink has character and Inkophile has the skillz to really bring it out. I want those skillz. So badly. …I wish I had more use for a red, because red is a little bit difficult to read in long stints. I suspect I’ll use this bit of ink up first and then go to my usual dusty purple or nutty brown, unless I suddenly buy another brilliant colour. Okay, outfit post coming up later tonight!